The alumni from the class of 1968 seated dinner on Friday October 12, 2018 to celebrate the Golden Crusaders 50th Class Reunion. 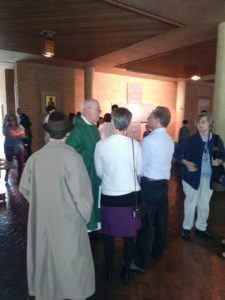 On Sunday October 14,2018 the farewell Mass was celebrated with Fr. Mark Hamlet, alumni from the Class 1968.